hmm, you aren't doing anything on the system when the lights flash right? playing music? playing a game? the reason I ask is that AlienFX has an API that some games can use to modify the lights. Same with some music players. But the alienhead light off is strange. Very odd behavior. Calling support sounds like a good idea. if you are in the states.. 1-800-alienware. 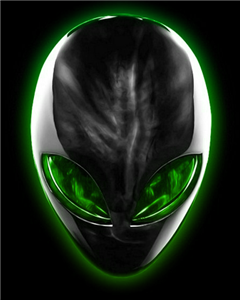 I’ll recommend you run the Alienfx tester; it is located in the command center installation folder. Run it and let us know if all the lights are lighting up, if not send me Private message with your service tag so we can help you further. Hi i am having the same problem. any solutions you can give me to troubleshoot this Illumination Conundrum! Sorry to hear that, basically the problem with mine was the daughter board. Upon calling Dell's support team, they quickly sent out an engineer who came and replaced the board for me, as I had a valid warranty as I had owned the PC for less than a year.